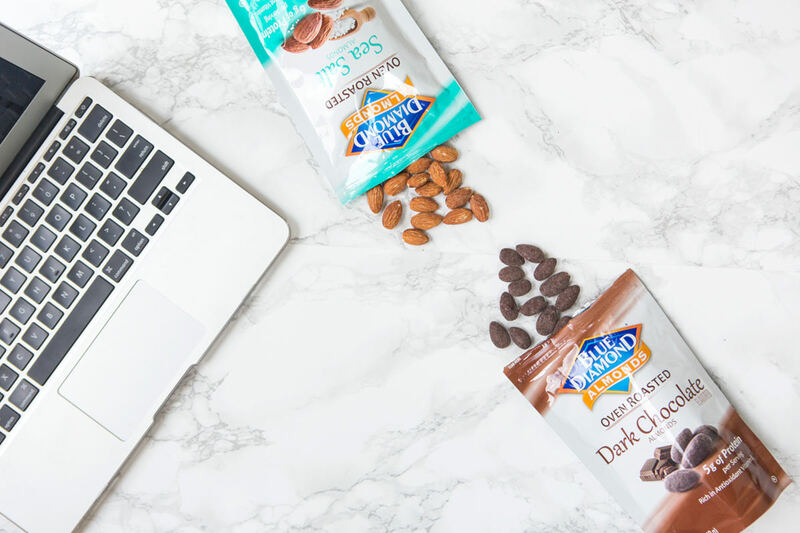 Trying to eat healthy at work can be tough and when cravings hit it’s not easy to resist a visit to the vending machine for an afternoon snack. But, with just a little bit of forward planning you can say no to chocolates and sweets and hello to deliciously healthy treats – just stock your desk drawer with these handy snacks and you’ll never go hungry again! 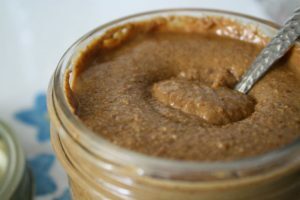 Almond butter is the ideal healthy nut butter alternative to sugar laden peanut butter. Enjoy it on a rice cake or two or bring a few apple slices from home and dip them into your nut butter for a sweet afternoon treat. Want something more adventurous to keep you feeling full? Reach for some Edamame (soybeans in their pod). 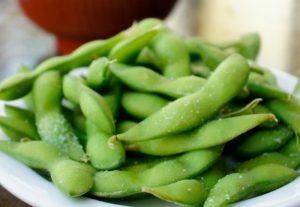 This little snack packs a powerful protein punch and just a half a cup of edamame is enough to satisfy afternoon hunger pangs for non-meat or non-dairy eaters. You will get 11 grams of protein per half cup of Edamame. Craving sugar? Reach for healthy juice before you devour that milk chocolate bar. 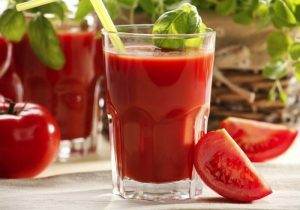 Studies show that we often misinterpret thirst as hunger so why not try quenching your thirst with a can of low-sodium tomato or vegetable juice instead of a high calorie snack? We get it, there are those days where nothing but chocolate will do. Luckily not all chocolate is considered a no-go. 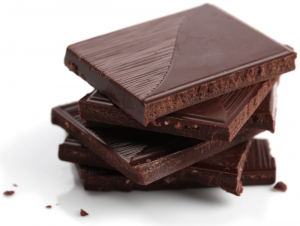 Dark chocolate offers the delicious chocolatey taste you crave as well as loads of health benefits. It can even boost your mood and lower your blood pressure! Just make sure it’s 72% dark or more and limit yourself to a block or two. 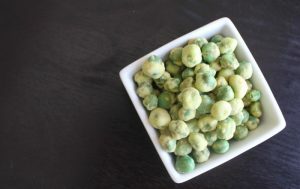 For those who love a spicy treat a handful of wasabi peas will go a long way to keeping you feeling full and satisfied. These little bites pack a serious spice punch and are perfect for satisfying any salty, crunchy, or spicy craving. What’s more, they also contain plenty of protein and fiber, which will help to prevent your blood sugar from dropping. Want more food related reads? Check out these 5 Delicious Ways to Upgrade a Traditional Potato Salad.